Share this product to Earn Credit towards your Purchases! Enter your email to earn store Credit by sharing! 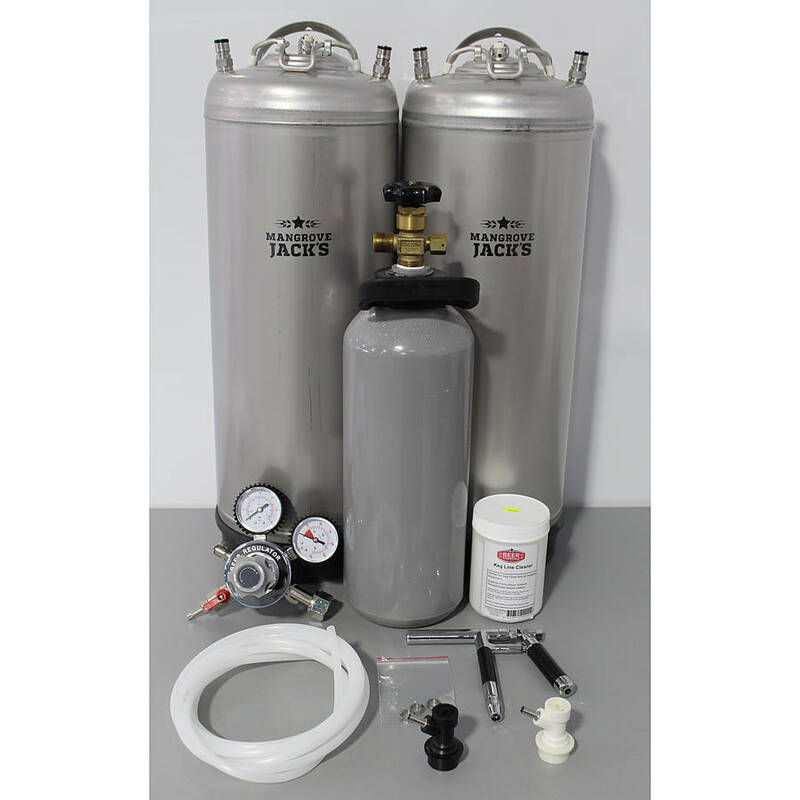 2019-05-26 Brewcraft In stock! Order now! Your very own beer on tap, ready to drink in as little as 3 days after fermentation. No more botttle cleaning & filling. 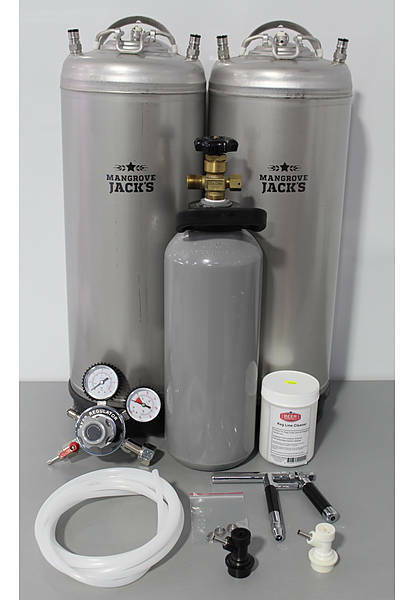 Keg system includes; 2 x 19 Litre Stainless Ball Lock Kegs, Stainless Beer Tap, Beer & Gas Keg Disconnects, Duel Beer Gas Regulator, Kegging Hose, Hose Clips & 500g Keg & Line Cleaner Compound + 2.6KG CO2 BOTTLE. Be the first to add a review and earn store credit! Sign up to get exclusive members only promotions. Under the Liquor Control Act 1986, it is an offence: to sell or supply liquor to a person under the age of 18 years on licensed or regulated premises; or for a person under the age of 18 years to purchase, liquor on licensed or regulated premises.